REDEMPTION – Snowfall On Judgement Day is an entertaining listen in quality Progressive Melodic Metal. 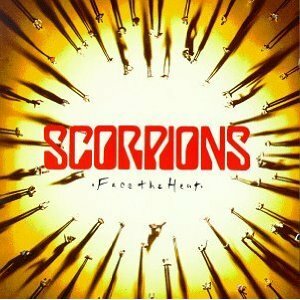 Released on October 6, 2009, (on InsideOut Music/The Century Family Inc.). 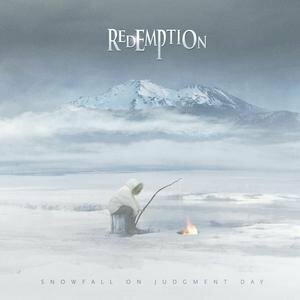 Snowfall On Judgement Day marks the fourth studio album release from Redemption. Each song is thoughtfully written lyrically, with very impressive musicianship throughout. The songs on this album are layered with an almost exquisite sheen, with all the ambiance and textures one can expect from a Progressive Metal Band of substance. The vocals of Ray Alder are pronounced, while never overreaching. Ray Alder is a veteran of the Metal Music world, while also being the lead vocalist for the quite famous – Fates Warning. Redemption plays as a seamless and cohesive unit, making each song the star on Snowfall On Judgement Day. Nick van Dyk and Bernie Versailles are a potent duo on guitars, adding very interesting and downright likable melodic moments from beginning to end on this album. Greg Hosharian on keyboards adds all the atmospheric and melodic elements of mysticism, openness, sense of flight and emotional highs and lows. I guess Greg seems to cover it all, when it comes to sensory interpretation of his keyboard playing. Chris Quirarte plays drums in the spirit and style of one Mike Portnoy of Dream Theater fame. This comparison may sound complimentary, which is rightfully justified, in my Metal opinion. Chris comes across to me as a drummer not trying to play hard and stand out, he is just simply mastering the beats and adding all the right drum fills within each song heard. What more can one ask for from their drummer? With each musician in Redemption seeming to convey their astuteness for their craft, I still need to mention Sean Andrews on bass, who helps anchor the rhythm section and doesn’t fall short on speed when the song dictates. James LaBrie, lead vocalist for Dream Theater, is a guest vocalist on the song Another Day Dies. This song captures an almost total Euro Power Metal sound and feel. It’s the guitar leads and solo that seem to keep it from melting over completely into this comparison. James LaBrie’s vocals makes for a perfect match, with this Progressive Metal style that is Redemption. 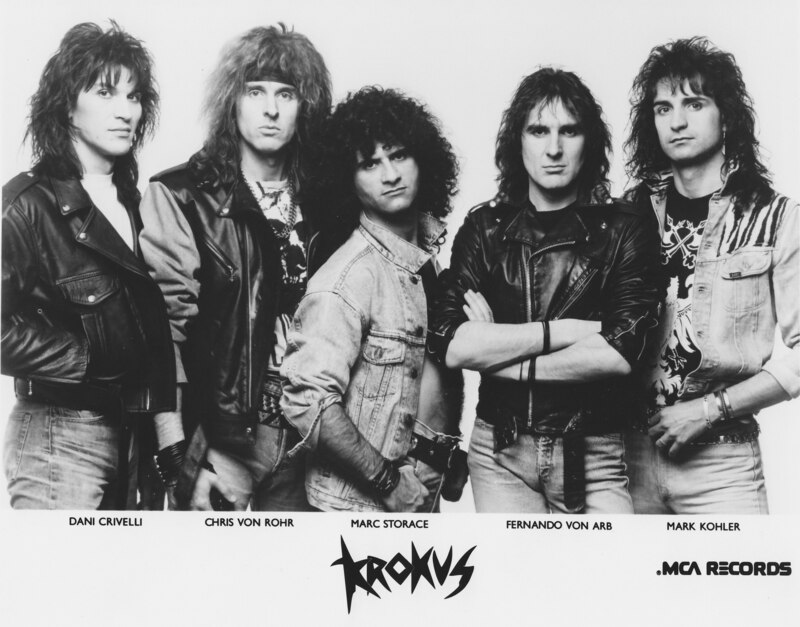 I still like Ray Alder fronting this band though, he is by no means a second tier front man. The harmony and tone of Ray Alder’s vocals are tailor made for Redemption… to my ears anyways. Hopefully, my descriptive thoughts on Redemption as musicians, can help you understand just how the songs play out on Snowfall On Judgement Day. This band and this particular album should not be relegated to the back of the line. 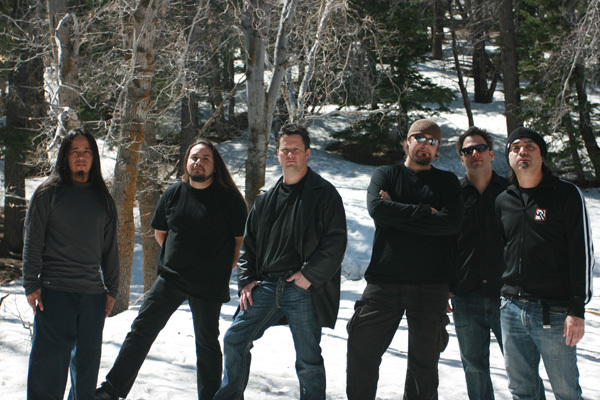 Flying under the Progressive Metal radar can’t be a reality in Redemption’s future. When there are so many bands and their albums to choose from in the vast world of Heavy Music genres, it’s a band like Redemption that just can’t go overlooked. I invite anyone who loves to hear songs and not four minute hits, to step right into the Progressive Metal creation that is Snowfall On Judgement Day. Fans of Dream Theater, Queensryche, Coheed And Cambria and Mastodon should be very enthused by Redemption and Snowfall On Judgement Day. I’m pleased to have purchased this album and I highly recommend Redemption to any fan of Hard Rock or Heavy Metal that is looking to expand their music listening interests in a more progressive way. * The song Keep Breathing, is an emotional and tender song written in dedication to Nick van Dyk’s daughter Parker. On the last page of the liner notes, what I read broke my heart. Being a father of twin daughters, the medical battle that Nick’s daughter Parker is going through just really hit home with me. To directly quote Nick van Dyk: “my daughter Parker was diagnosed with a terrible eye condition called Cone Dystrophy. This is a genetic condition, that prevents the retina from forming properly, resulting in the loss of central vision”. Nick writes: “there is currently no cure or treatment for Cone Dystrophy… even with corrective lenses, her vision will be 20/200 or worse. She will be unable to drive a car and do many things that people take for granted”. Nick van Dyk continues, in the liner notes: If you are looking for a charity to support, please consider the Foundation Fighting Blindness, which can be found at http://www.blindness.org”. * Snowfall On Judgement Day was produced by Nick Van Dyk and Tommy Hansen. DANZIG – In 1992, Danzig III: How The Gods Kill was released. My favorite DANZIG song of all-time is on this album… Dirty Black Summer. Oh yeah. This is the one. There’s something about the wickedness of this song’s tone, atmosphere and grooves. Plus, this song’s edgy heaviness and lyrics are what puts that sinister smirk on my face and attitude in my step. Dirty Black Summer is not a “fun in the Summer sun” song by any stretch of the imagination. With that said, all the guitar parts seem to remind me of those hot and humid Summer nights, where I am taking a long cruise in the car, with the window down, as fog begins to formulate in the air. I guess it’s just me. Oh, yeah, one more Metal thought. Glenn Danzig F’n RULES. Check out the DANZIG – Dirty Black Summer music video below. Hopefully you enjoy this song as much as I do. If not, well, you can always go back to your cross stitching and listen to the Fiddler On The Roof soundtrack. Metal be thy name. RATT – “INFESTATION” IS RATTASTIC RATT ‘N’ ROLL! RATT – O.k., so I bought the new RATT album, um, CD yesterday, on it’s release date of April 20, 2010. Take my Metal word for it… RATT is BACK! Infestation has exceeded my Metal expectations and I am a better Metalhead for it. Actually, I’m in a damn good and cool mood because of this new RATT CD. That’s exactly what these new songs on Infestation does to me, they put me in an – everything is really fine in my world mood. No kidding. Take for example, today… as I drove around the city trying to accomplish some errands, I was cut-off and slighted by many self-entitled, turtleneck wearing, plastic people in their cars. Ah, did I care? Nope. I had the new RATT – Infestation blasting away in my car! 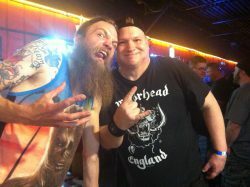 All is well with the Metal world! 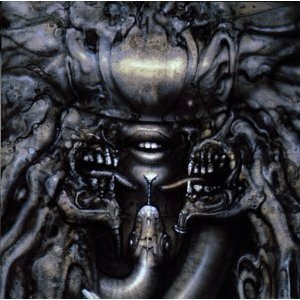 My favorite song on Infestation is, without a single Metal doubt in my Metal mind… as good as it gets. 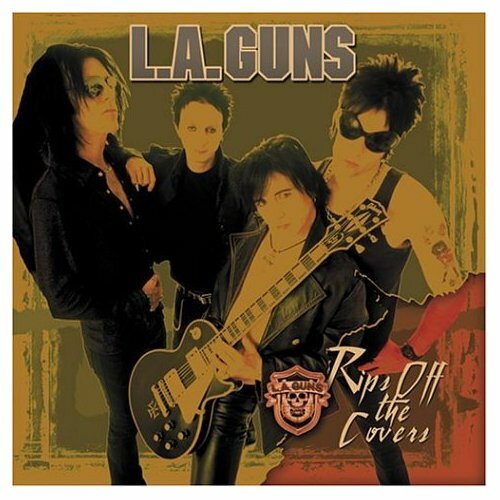 Whoa, this is RATT 2010 and I’m really, really, psyched out of my Metal skull about this song! While I have listened to this entire Infestation CD, I have come to the realization that this is NOT a RATT CD that needs to be listened to numerous times, in order to make an opinion on. Infestation will either grab your 1980’s Hard Rock and Hair Metal soul or it won’t. RATT has come out swinging, with 11 new songs that exemplify all the great things I remember about this band. Melodic, catchy and Hard & Heavy… RATT ‘N’ ROLL. Stephen Pearcy has not lost any of his cool swagger with his vocals. Carlos Cavazo can still contribute like a Metal whiz kid, with writing music and playing guitar. Warren DeMartini has not skipped a beat as a lead guitarist. Bobby Blotzer hits the skins on Infestation like his life depends on it. Robbie Crane has arrived and conquered on bass. Metal be thy name. Holy crap, RATT was not fooling around with this comeback album. Some may point the finger at me and say… “hey, dude, your on a RATT high”. My Metal response to such a remark is… damn right I am. 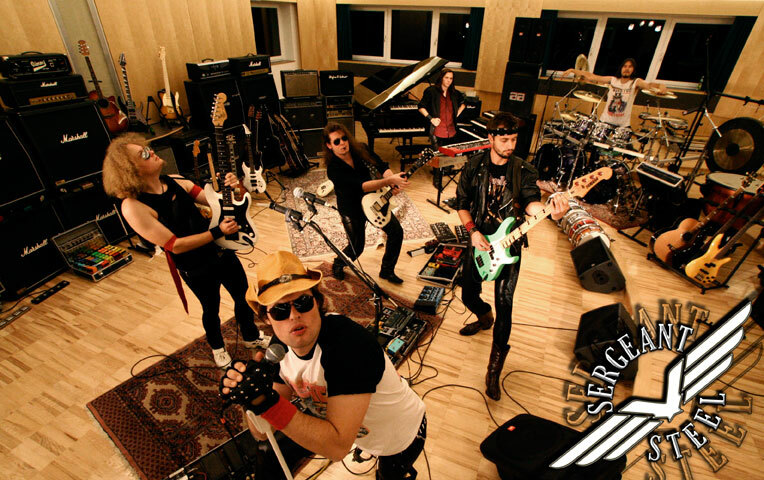 Music… Hard Rock and Heavy Metal… are an all natural high for me or any human being to enjoy in life. RATT – Infestation is the new high on the Metal street. Gimme, gimme, gimme more sir. So lest it be written, so lest it be known, right here on Metal Odyssey, on this very day… that this calendar year of 2010 has been… RATTIFIED. There always was and will be, those nay sayers out there that just don’t like RATT. Well, I don’t like sushi. I like my damn fish cooked please. For those Hard Rock and Heavy Metal fans out there, who do like RATT, love RATT or are just infatuated with this band since their RATT EP came out in 1983… rejoice and accept the rattaholic status you are currently in. My name is Stone… and I’m a Rattaholic. After one listen through with Infestation, you are either with the Ratt Pack or out of the Ratt Pack. If your out, there are plenty of ABBA, Jim Nabors and Boxcar Willie albums out there for you to, uh, enjoy. Or, instead, watch some reruns of Dr. Phil. I feel like I’m on a roll today… RATT ‘N’ ROLL that is. 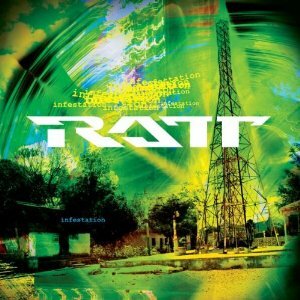 * RATT – Infestation was released on RoadRunner Records. TURTLENECKS ARE NOT COOL. NOT AT ALL.